Protection Island National Wildlife Refuge is one of the most important sanctuaries on the planet for nesting marine birds. It lies off the north coast of Washington State's Olympic Peninsula. Over 30,000 Rhinoceros Auklets - like this one - nest on Protection Island, and it's home to a breeding colony of Tufted Puffins. Although the refuge is closed to the public, visitors can view the inhabitants from a distance, on a boat tour. Learn more about the refuge. 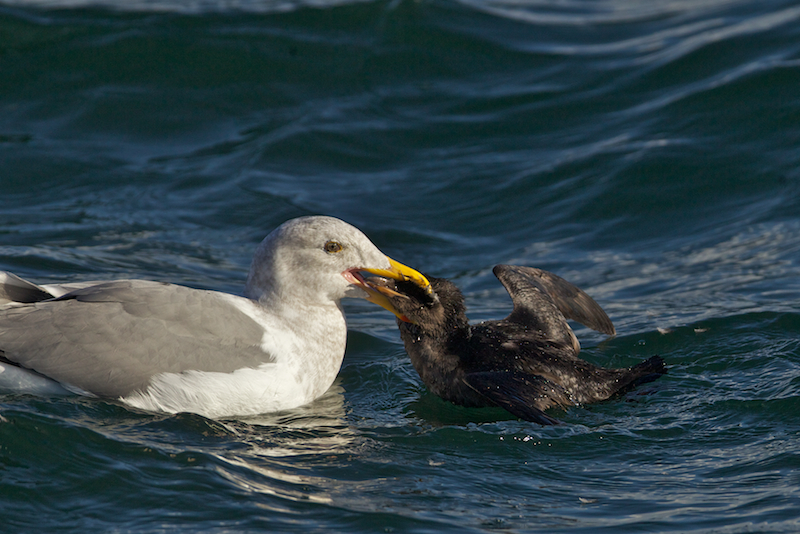 Find out more about Rhinoceros Auklets at Cornell's All About Birds. Protection Island, one of the most important sanctuaries on the planet for nesting marine birds, is a jewel in our National Wildlife Refuge system. It lies off the north coast of Washington State’s Olympic Peninsula. In springtime at dusk, if we could pass through the 200-yard protective buffer that surrounds the island, we’d hear the sound of Rhinoceros Auklets, excavating nest-burrows in the island’s grassy slopes. 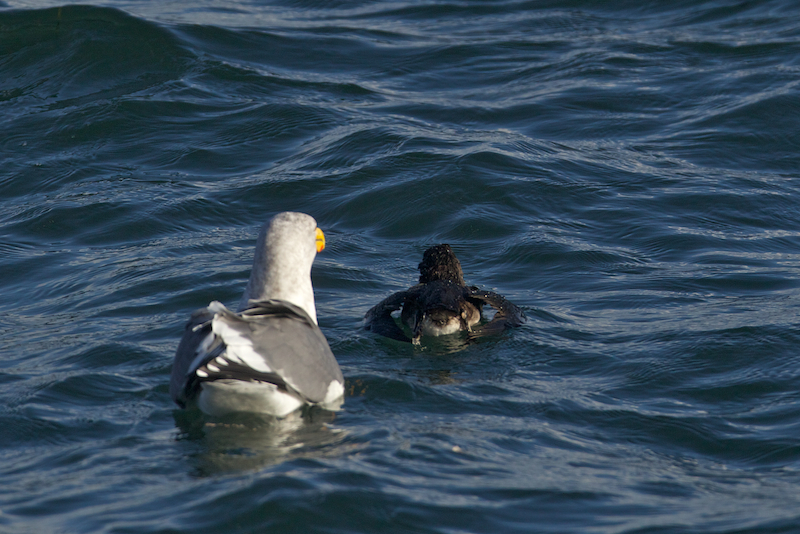 These chunky seabirds, about the size of a crow, are close relatives of puffins. 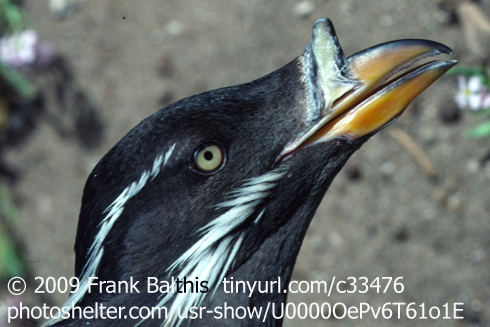 Rhinoceros Auklets use the long, sharp nails on their webbed feet - and their hefty bills - to dig safe havens below ground for raising their young. Some are truly inspired excavators, digging burrows more than 15 feet deep! Let’s eavesdrop on the sounds within one of those burrows. 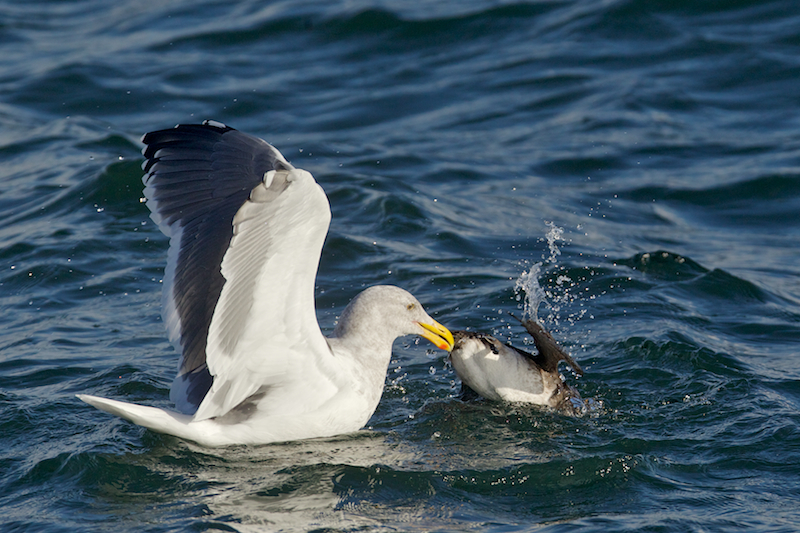 Over 30,000 Rhinoceros Auklets nest on Protection Island, and it’s home to a breeding colony of Tufted Puffins, and thousands of Glaucous-winged Gulls [Long call of Glaucous-winged Gulls]. And it’s an important stop on the flyway for many migrating birds. 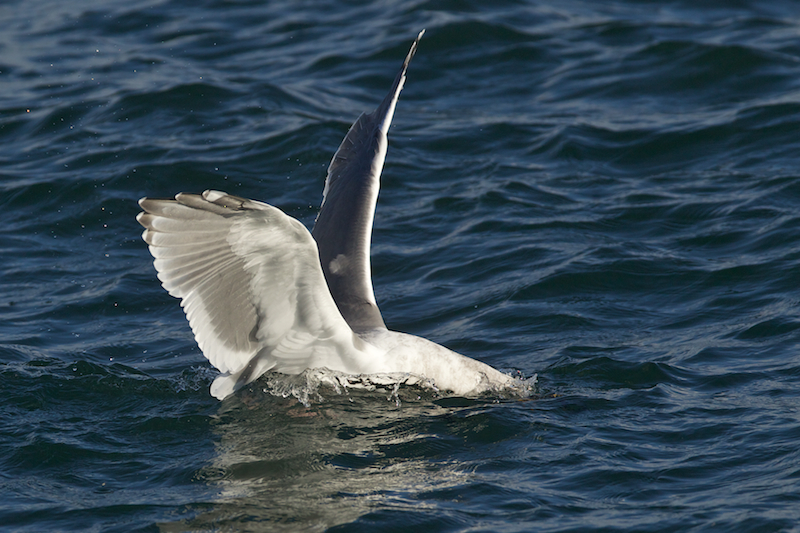 Learn more about Protection Island National Wildlife Refuge at birdnote.org. Wild creatures depend upon these jewels. The jewels depend upon people like you. Bird calls provided by The Macaulay Library at the Cornell Lab of Ornithology, Ithaca, New York; moo call of adult Rhinoceros Auklet in nest burrow recorded by Thomas G. Sanders; call of adult Tufted Puffin and solicitation by juvenile Tufted Puffin recorded by Ernest Booth; long call of Glaucous-winged Gulls recorded by A.A.Allen. Ambient audio recorded by Kessler Productions.